New generation of CzechIdM brings many improvements to our identity manager. How we dealt with the long running task (LRT) management you can read in my post. First of all it would be nice to introduce the LRT to those, who are not familiar with the term. 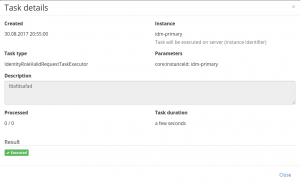 Many actions in CzechIdM are supposed to run in the background since they do not need the interaction with the user or its run takes a long time. The example of that action is data synchronization from HR system to CzechIdM. Other example would be identity lifecycle processes like New contract or End of contract. Those really do not need user interaction and if there is lot of identities in the system, the run can take minutes. To easily manage LRT in CzechIdM there is a separate menu agenda in GUI that you can access via menu Settings → Task scheduler. 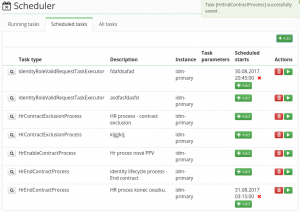 The most important card for the CzechIdM administrator is Running tasks, where you can see the current running tasks and its progress. You can of course cancel the LRT there. 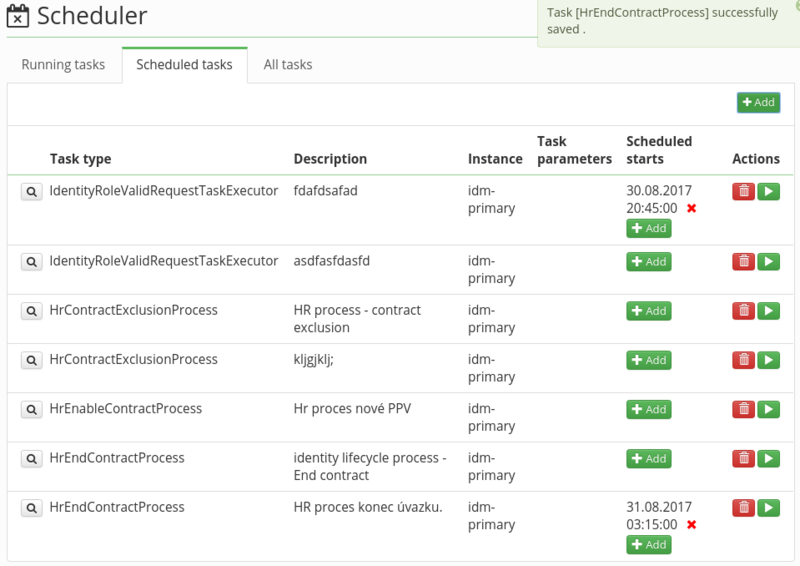 Other card Scheduled tasks allows you to list through all the planned task. 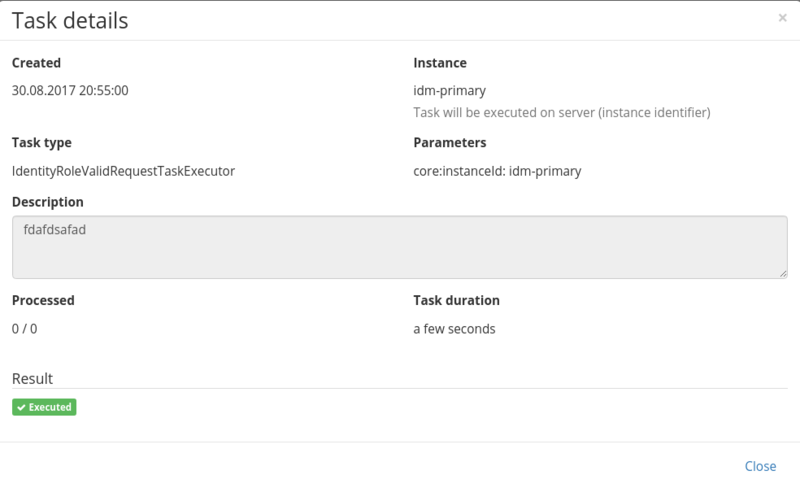 You can also create new tasks e.g. if there is a new identity lifecycle process available after CzechIdM upgrade. But the most important feature of the card is the planner of future run. It uses widely spreaded CRON syntax, which makes it easy to plan periodical start of LRT. Of course you can start the LRT only once too – instantly or in the future. In the detailed view you can see some audit information about each run. We are constantly improving the way of how the CzechIdM admininstrators manages LRT. By the time of writing this post, there is a work in progress of redisigning the LRT detail as well as dry run for LRTs. CzechIdM is opensource and our improvements are public. If you are interested, read, comment, follow related issues there: 1, 2.